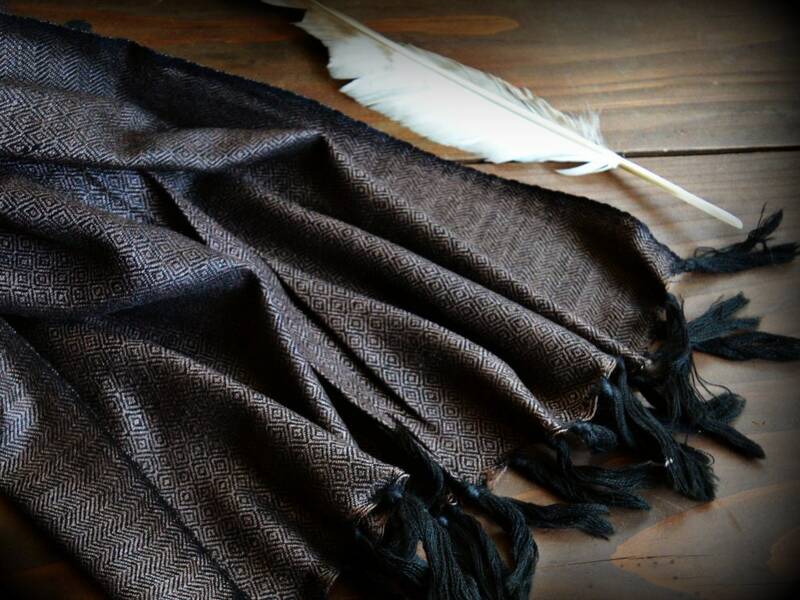 Amazing, smooth and shiny silk and wool handwoven shawl in deep, beautiful sark brown colour. The final effect is so unique and luxurious. Diamond weave with the edges in herringbone twill makes the design very interisting. 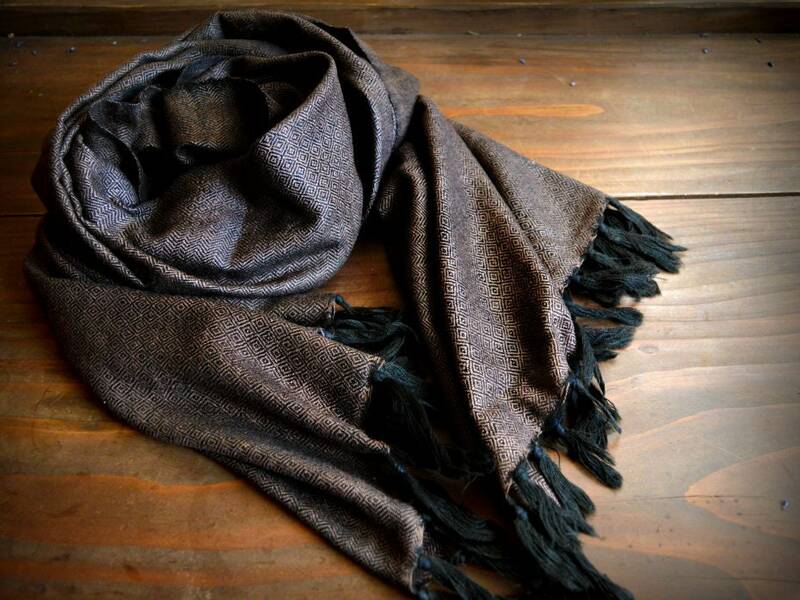 The shawl is made of yarns in two colors: brown silk for the weft and black wool for the warp. The colors in reality may differ a bit from what you see on your screen. Fabrics made in diamond twill have been found in rich Vendel, Migration Period and Viking graves. They were luxurious fabrics, probably imported. The diamond pattern in these archaeological finds is in small size, like you see on this fabric. There are no finds of fabrics woven in the big diamond pattern.